Okay, before you yell at me for not posting in the past, hmm, one month, that I’ve been home in Malaysia, here’s something to make it up to you. Happy now? No? Well, that’s all you’re going to get, soooo ? It’s good to be back, mostly because of the food (obviously). I do not miss the weather (though it’s okay for now), and I certainly do not miss how bad the traffic is getting to work. That reminds me. 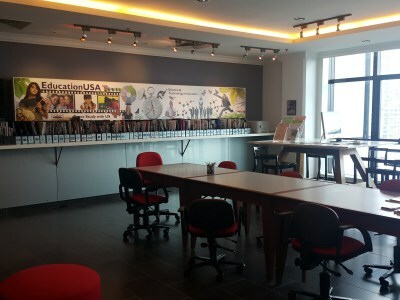 As I wrote in my previous blog post (which was ages ago, I’m sorry), I’m currently interning at the Malaysian-American Commission on Educational Exchange (MACEE for short). It’s at Jalan Bukit Bintang, so right in the center and obviously, traffic is horrendous here. I usually get a ride to work (Mum got Abang Murad to send me and fetch me afterwards) so I didn’t have to worry about traffic or whatsoever. But there’s been a few instances in which Mum has a meeting in the morning so she needed Abang Murad to send her that I get to drive to work on my own. And so I DROVE. In KUALA LUMPUR. 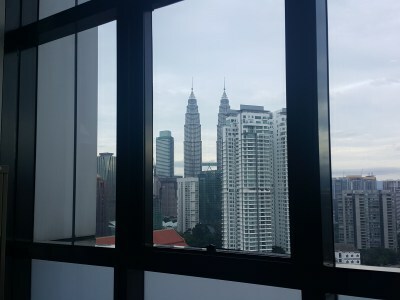 Right smack in the middle of the city centre, in the Golden Triangle, a few minutes away from Pavilion KL. During peak hours somemore. Okay, so on to my summer internship at MACEE. First of all, what is MACEE, and what does it do? Well, MACEE [The Malaysian-American Commission on Educational Exchange] is a binational organization between the US and Malaysia. Its aim is to promote educational and cultural exchange between these two countries, mainly through the Fulbright programs. But MACEE has expanded outside its original role of being a Fulbright commission and is now Malaysia’s link to U.S. Education. In laymen’s terms, MACEE’s basically where you go to if you want to pursue either an education in the States (be it for undergraduate or graduate programs) or want to do an exchange program for education / research purposes in the U.S. (through the Fulbright program). They have coordinators and advisers in the office that can help facilitate the process and point you to the correct people to talk to. Okay, so, what do I do as an intern? 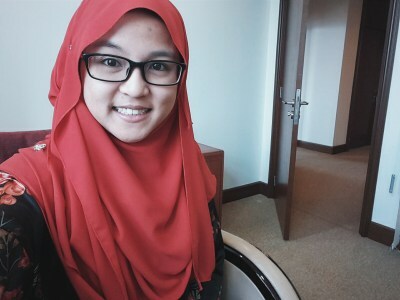 I’m currently interning under the Fulbright Malaysia program & EducationUSA. My tasks include assisting the Fulbright Malaysia coordinator (Kalis) with the Fulbright program (like going through applications, reaching out to universities and colleges, sending out information about research opportunities, planning the award ceremony, updating info on the website, etc) and supporting the EducationUSA advisers (Kendall and Kavita) in advising (like helping out at the EducationUSA booth during the Star Education Fair in KLCC, planning and assisting during workshops / programs, joining in during advising sessions, etc). So far, I’m enjoying my time here at MACEE. The MACEE office is small, with around 20 or so people working here. Half are Americans (they’re the coordinators for the Fulbright US programs where Americans come to Malaysia to teach, etc). The people working here are super nice and friendly, and when it’s not Ramadhan, we’ll usually go out for lunch nearby together (at Pavilion or at a nearby mamak stall or at the Menara Worldwide next door). Next Tuesday will be the biggest highlight of my internship so far (other than the Star Education Fair last weekend), since we’ll be hosting a Fulbright Award Ceremony at our office. The recipients would be coming in, along with representatives from the U.S. Embassy and the Malaysian Communications & Multimedia Commission (MCMC / SKMM). We also invited representatives from various universities and colleges, so some professors / vice chancellors / directors of programs and faculties would be attending as well. It’d be intimidating to be surrounded by all these important people in academia and all, but it’ll definitely be a fun new experience. Okay, so I think that’s good enough for my first post in Malaysia (after a month lewl). I’ll definitely write again, but I can’t promise when or how soon it’d be. Thanks for reading this far, and stay awesome! Previous post	Three Down, One to Go. Next post	#ProjekKadRaya 2016 edition.